Here is AccuWeather's latest forecast of snowfall amounts. 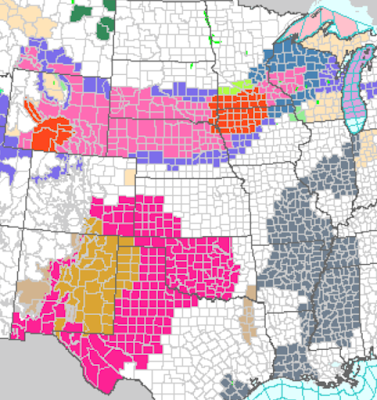 Orange is a blizzard warning. 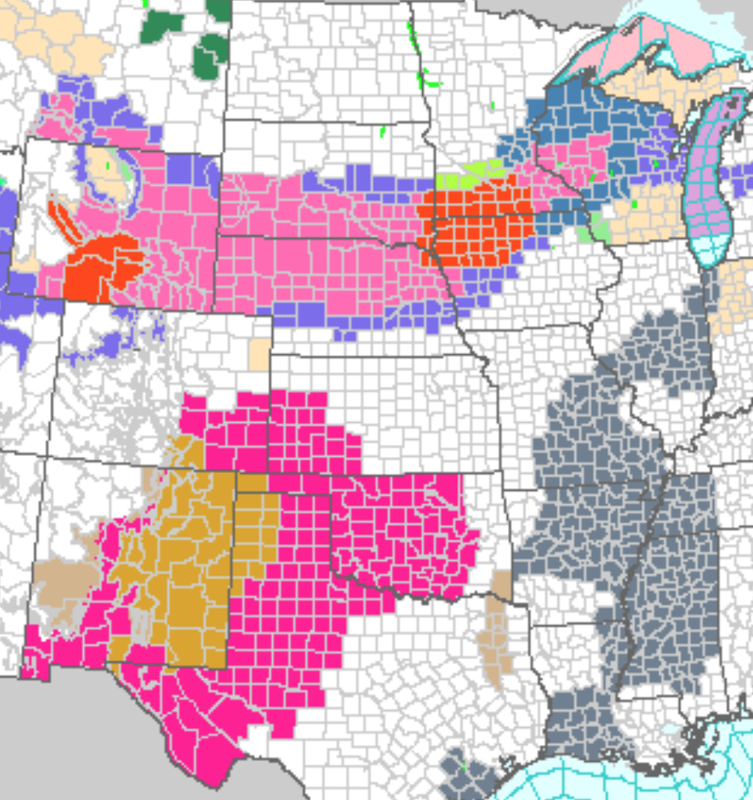 Pink is a winter storm warning (a slightly lesser condition). Blue is a winter weather advisory (a much lesser condition than a blizzard warning). 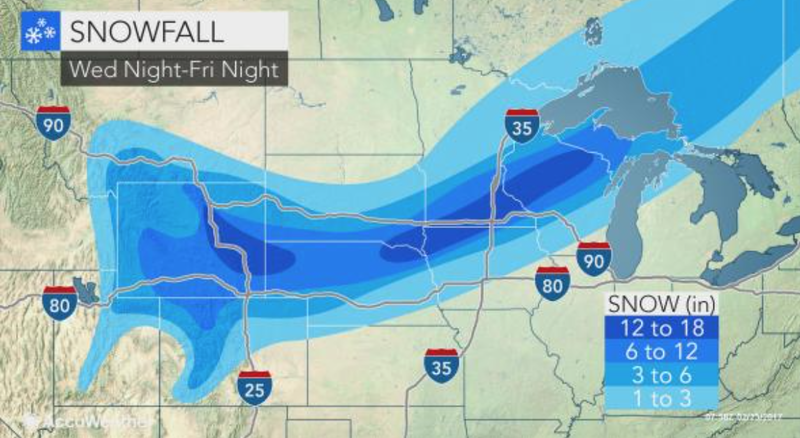 Hunter green is a winter storm watch (Wisconsin area). Gray is a dense fog advisory. 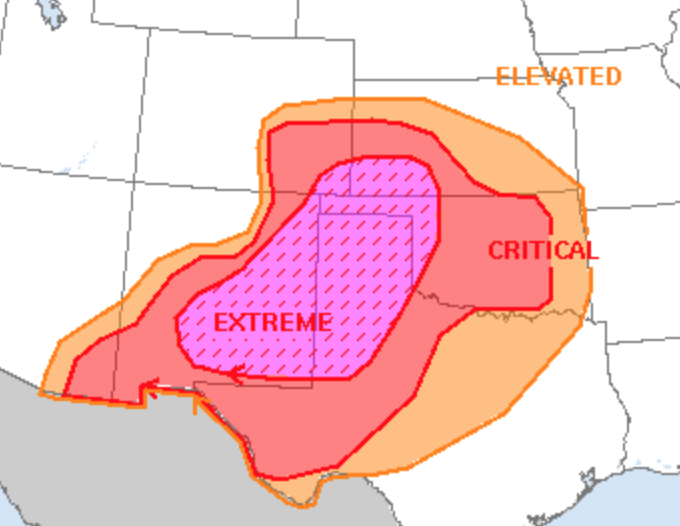 Magenta is a wildfire danger warning. Brown is a high wind warning. 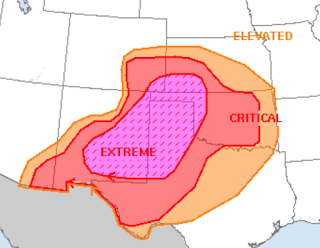 Below is the NWS's assessment of wildfire danger later today.